During our meeting Monday December 3, 2018 we honored Ayesha Khan our Florida Atlantic University High School Rotary Scholar for the Month of December. She was selected by the FAU High School staff in recognition of character, ethics, morality, community service, and academic achievement. 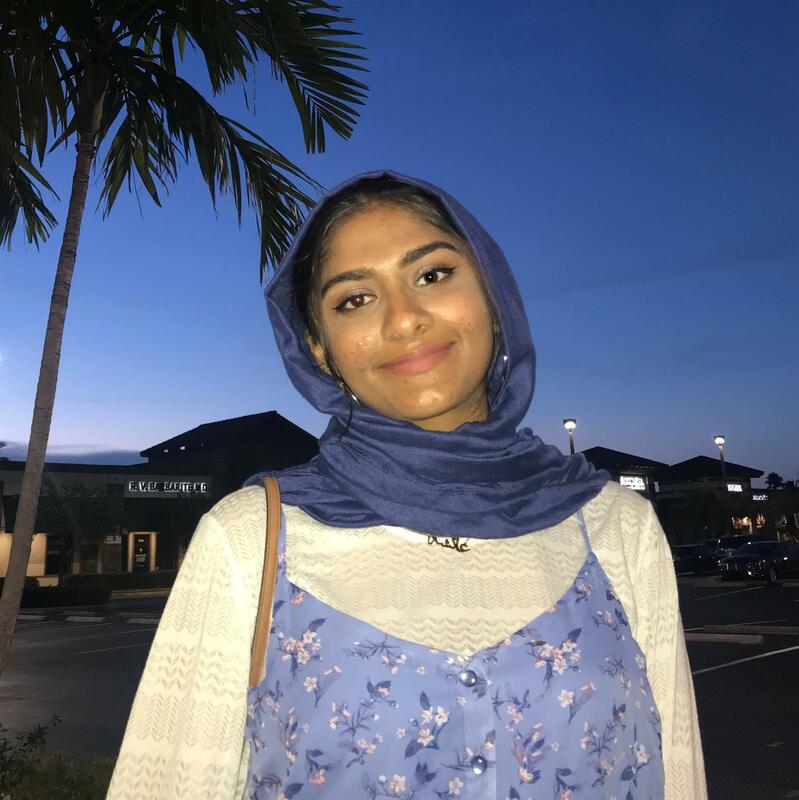 Ayesha expects to graduate FAU HS in spring 2019 and earn a BS in Biological Sciences from FAU in fall 2019. She was accepted in the FAU University Honors Program and has maintained a 3.9 GPA overall, while providing tutoring for fellow students in mathematics and writing skills. Ayesha cited some of her volunteer experiences in the community and school, including tutoring and henna artistry. 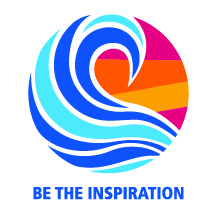 Among these are: Participation in Interact Club in 9th Grade at FAUHS, such as Fundraising for Veterans, Collection of Christmas Presents for Impoverished Children; Alzheimer’s Walk that Raised awareness for Alzheimer’s disease; Relay for Life, which involved Raising money to donate to the fight against cancer; Volunteered with Emgage to register voters and engage Muslims in politics; Volunteered with Project Downtown Ft. Lauderdale serving food to homeless individuals; and Helped packing food boxes with Islamic Foundation of South Florida (IFSF) Food Pantry (boxes go to low-income families or for disaster relief when needed). Participating in the Leon Charney Diplomacy Program at FAU allowed her the opportunity through the Model UN project to participate in debate competitions in Washington DC. This experience increased Ayesha's interest in politics, and although she is not old enough yet to vote herself, she is excited enough to encourage those who are and help educate others about issues of importance. Among her talents is artistry and she has employed these talents with henna art, henna tattoo artists create the newest fad among young adults at parties. The striking designs lend an exotic flavor to an event: a mud paste is applied, which, when removed, leaves a temporary henna stain, and this is where the name Henna Tattoo comes from. She has Applied henna art on individuals at various events, including SunFest, wedding events, and fundraisers for Muslim Student Association at FAU and IFSF. Ayesha told us she intends to apply to FAU medical school in hopes of pursuing a medical career. She was accompanied by her younger sister, mom Nawal Sedigy and dad Asim Khan. Following Ayesha's presentation and a few questions, David Kelly complemented her and provided a brief review of the FAU HS program and the selection process for the Rotary Scholars. Then club President Ana Londono joined Chair Mathieu Daquin and PDG Phil Lustig to present the certificate of honor and invite Ayesha and her parents to the Rotary Boca Raton Sunset Scholar Gala in the spring of 2019.